Cake toppers are getting more and more ornate by the season. And why not? Topping your cake with something sparkly is a great way to get more bling for your buck. 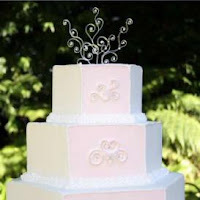 By the way, TheFrisky.com has a great article about The Five WORST Cake Toppers. Funny stuff.